Several generations of Burgums of the "FF" family tree, lived at Abenhall in the Forest of Dean. 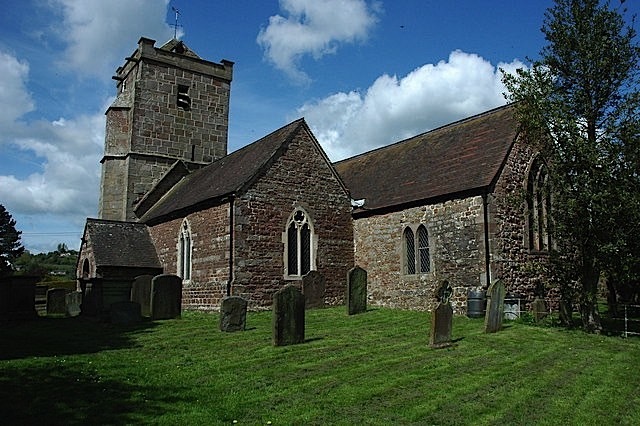 ABENHALL is a beautiful, but small, rural parish and village on the road between Flaxley and Mitcheldean, set in the hundred of Westbury-on-Severn. 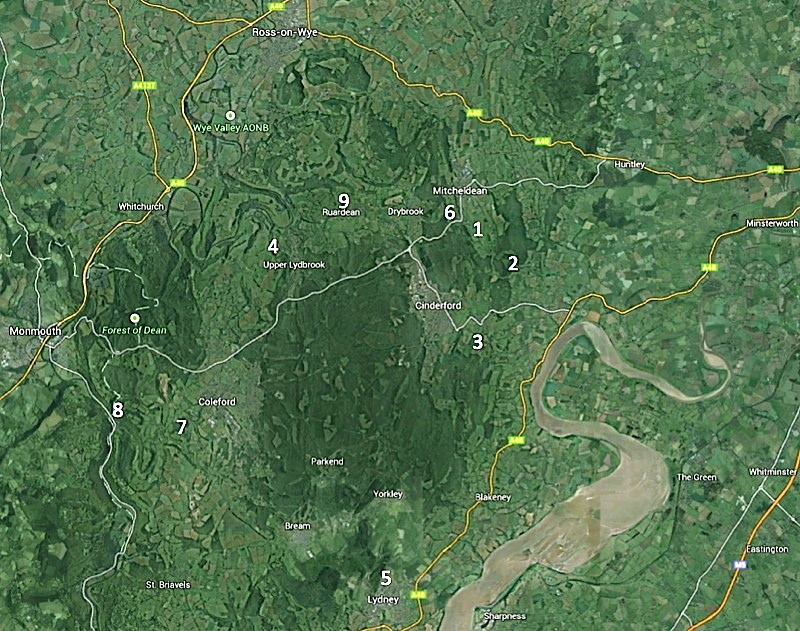 Now a farming area, it was surrounded by the woods of Abenhall, Flaxley and Longhope (all used for the production of charcoal) and was originally a centre for mining and iron making. Abenhall is important for the Church of St Michael (and All Angels), built of local red sandstone. The original Norman chapel-of-ease was added to in the 1300’s by the addition of a nave and the south aisle, with the addition of the tower min the 15th century. It was restored in 1874. Forest of Dean industries are reflected by the arms of the Freeminers (on the west wall) and the amazing octagonal font, which has carvings of tools belonging to miners and ironworkers who worked in the area. The arms of the free miners are also represented on a modern carving of a shield on the outside west wall of the tower. Abenhall had a population of 228 in the 1861 census and 307 in the 1871 census. James Burgum (CS1851-13) was born at Aston Ingham and worked (1851) as a cooper. Having lived with his wife Ann (Haskins) Burgum at Taynton, by 1851 they had moved to The Cross, at Abenhall. They had children Mary Ann Burgum (dau), Emily Burgum (dau) and Frances Burgum (dau). Later they moved to Mitcheldean (CS1871-63).